It is winter here in Australia and quite chilly in Melbourne. Wonderful time to stay inside and sew. I made my second minky blanket yesterday. I just folded 2 meters of minky fabric right sides together and stitched the three open sides, left a small opening to turn to the right side. Then I closed the opening by top stitiching close to the edge and then I top stitched all the way around one inch from the edge. It is being used right now for my Netflix watching girls. They are looking forward to winter school holidays starting next week. I have a new PDF sewing pattern in my shop. It is a small wallet with three card slots and a zippered coin pocket. There is also a pocket for bills and a small pocket behind the coin pocket. The wallet stays closed with a tab and a magnetic button. It is a great size when you don’t want to carry around a lot of things. 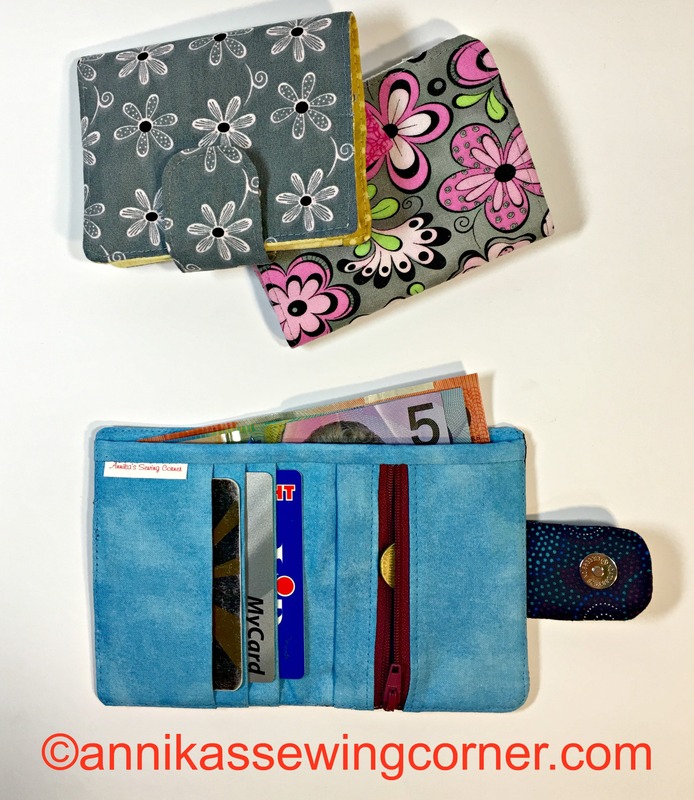 It is also a great size for a kids wallet, just make it in a fun print and/or bright colours. It is a tutorial style pattern with lots of photos for a confident beginner sewer.